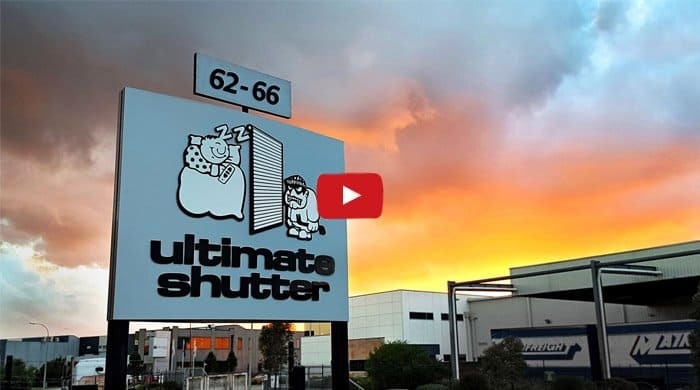 Ultimate Shutter has the most extensive and comprehensive guarantees in the industry. Our guarantees cover labour, parts & materials and the motor. Just look for the guarantee section under every product to see how long we cover each product for. We have procedures in place to ensure a standard service call is actioned within 92 hours, and if it is an emergency, the call will be actioned within 3 hours, 24 hours a day, 7 days a week. We can link each of your Window Roller Shutters to your monitored or unmonitored alarm system. Even if an intruder was determined enough to break into your home by tampering with one of your shutters, a switch connected to the shutter would activate your alarm system. This will make any potential intruder think twice about targeting your home. The installation of your newly purchased roller shutters will be completed by an experienced, and a very patient Ultimate Shutter technician. He will be continuously on the alert for obstructions such as timber studs, noggings, and ply board. He will also make sure to cut correct size holes, at the same level in each room, on plasterboard and ceramic tiles in kitchens, bathrooms, and laundries. To let us know how your installation went and to activate your warranty, simply fill out this page.